Automakers are also working to reduce the size of engines and weight of the car's body to lower fuel usage. Compact engines mean lesser displacement, lower friction and so lesser loss of energy. In early 2014, German luxury car maker Mercedes-Benz introduced the new C-Class sedan where it used an aluminium hybrid body that reduced the vehicle's weight by 70 kg. The lighter weight, says Mercedes-Benz India MD and CEO Eberhard Kern, cuts fuel consumption by up to 20 per cent. "The technical features developed by Mercedes-Benz are not merely aimed at enhancing its performance in motorsports, but are also actively used to develop stylish, safe and innovative vehicle concepts for the future," he says. Like Mercedes-Benz, many automakers globally as well as in India have been working to make their vehicles - a major source of air pollution - greener. These efforts can be broadly categorised into three segments - changes in combustion engines technology, development of hybrid technology and cleaner fuel. BMW and Toyota Motor, for instance, are jointly trying to develop a hydrogen fuel-cell vehicle by 2020 that would convert hydrogen into electric energy and water vapour, making driving emission-free. Similarly, Audi has developed e-diesel, or synthetic diesel, by combining carbon dioxide with water. This diesel, less polluting than other fuels, can be blended with normal diesel to run vehicles. Audi also uses the cylinder deactivation technology in its RS7 and RS6 models in India. The technology enables the shutting down of some cylinders of the engine when the car is running in cruise, or light-load, mode. This helps save fuel and lowers emissions. Another fuel-saving, low-emission technology used by automakers such as Ford, Volkswagen, BMW and Tesla is the regenerative brake system that converts kinetic energy (energy from a moving object) of the vehicle into electric energy, which then charges the battery. BMW calls this technology EfficientDynamics. 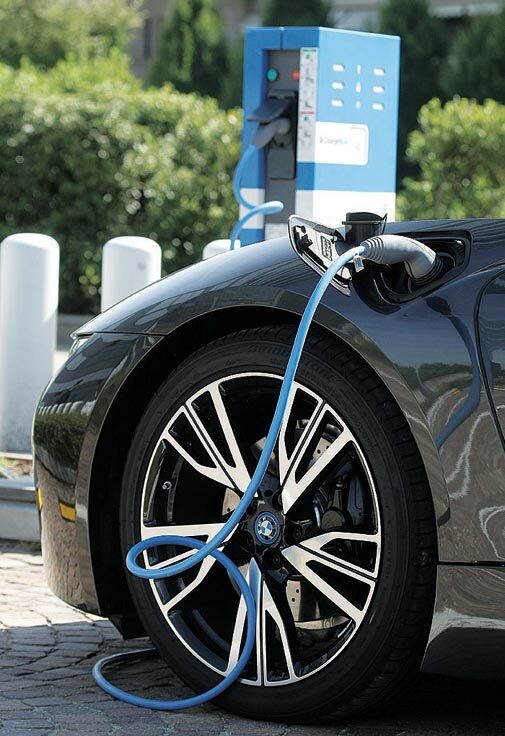 According to BMW, this technology cuts fuel consumption by up to three per cent. Philipp Von Sahr, President, BMW India, says the technology powers the company's entire product portfolio in India. FULL COVERAGE:CleanTech 2015Automakers are also working to reduce the size of engines and weight of the car's body to lower fuel usage. Compact engines mean lesser displacement, lower friction and so lesser loss of energy. Most compact engines use direct injection and twin turbocharger technologies to compensate for the power sacrificed due to downsizing of the engine. A turbocharger uses the exhaust gas to power the turbines, while the direct injection technology directly pushes the high-pressured fuel into the combustion chambers, allowing the fuel to burn more evenly. All these lead to better efficiency and lower emissions. Automakers use this technology under different names. Volkwagen calls it TSI technology, Ford has named it Ecoboost, while Suzuki calls it Boosterjet. Volkswagen uses the TSI technology in its Polo hatchback, and Vento and Jetta sedans in India. Ford uses the Ecoboost in its EcoSport sport-utility vehicle. But no matter how stringent the emission norms are or how sophisticated combustion engines become, vehicular pollution will remain a pressing issue. The need, therefore, is to move towards hybrid technologies that use a combination of electric and petrol or diesel engines. Some popular hybrid models available in India are Toyota Prius, BMW i8, and Toyota Camry Hybrid. Mercedes, Maruti Suzuki and Hyundai have plans to launch hybrid versions of popular cars. Maruti is in the trial phase of the Swift Range Extender, an electric vehicle with an engine driven generator. Mahindra e2o is the only pure electric car available in India. A big challenge in making hybrid or pure electric cars popular in India is the high cost of owning and maintaining the vehicle. Electric vehicles also need an ecosystem - such as charging points - to become popular. Besides, performance of electric vehicles available in India does not match global standards. The Mahindra e2o can cover 120 km on full battery charge at a maximum speed of 80 kmph. 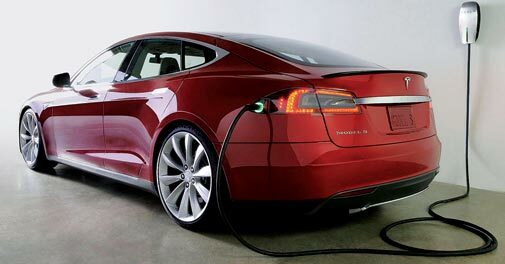 In comparison, US automaker Tesla's Model S electric cars can run 270 km with a top speed of 220 kmph. The Indian government plans to promote hybrid and electric vehicles through the National Electric Mobility Mission Plan. As per the plan, the government will give up to Rs 1,500 crore in monetary and fiscal incentives to companies and customers, and aims at Rs 62,000 crore savings in fuel imports by 2020. "The government plans to subsidise the production cost of electric vehicles so that they are available to users at lower cost. The government has allocated Rs75 crore towards this cause," says Ayush Lohia, CEO, Lohia Auto Industries, which has sold 20,000 electric scooters since it began operations in 2008. "Electric vehicles can become popular only if there is full government support to create an ecosystem for such vehicles," he adds.